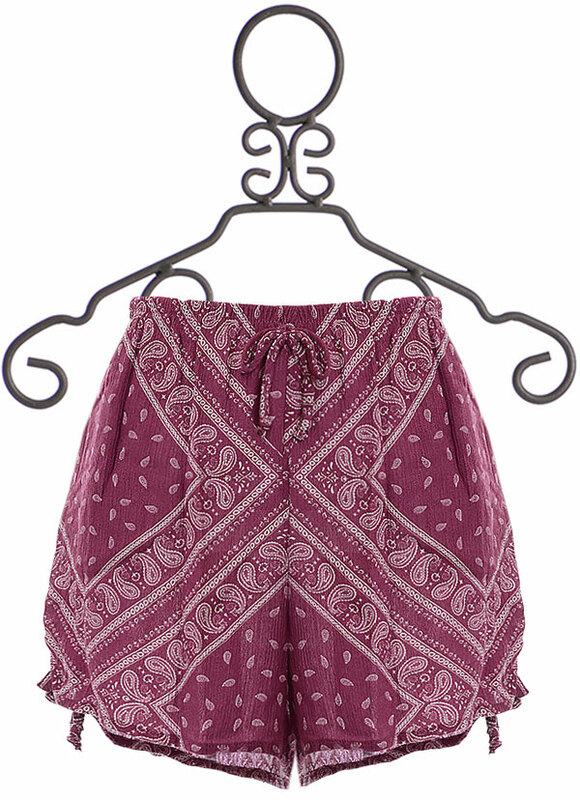 $19.5 - Matching another new arrival from PPLA, the bomber jacket, these tween shorts are a cute design for summer. The style begins with an elastic waist with a bow tied on the front. The casual and loose fit of the legs help to keep her cool. We love the added design of drawstrings that cinch the sides. Pockets can be found on the front of both legs. This lightweight, woven rayon is the perfect fabric for hot summer days. Adding a unique flair, the red is covered in a white bandanna print, classic and paisley. 100% Rayon. Hand Wash Cold, Lay Flat to Dry. Made in the U.S.A.